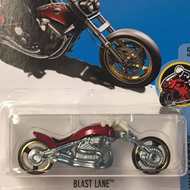 DVD06 is a 2017 Treasure Hunt and 9/10 in the Super Chromes series. 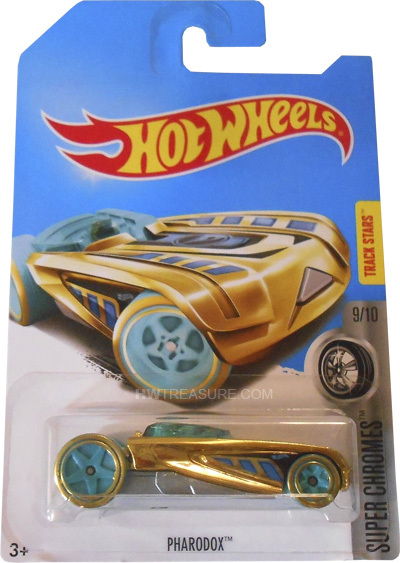 The gold chrome car has blue graphics with the Hot Wheels logo on the sides and the low production symbol on the hood. It has turquoise windows, a black interior, turquoise wheels with gold trim, and an unpainted metal Malaysia base. The Pharodox made its debut in the 2006 First Editions series. It is an original design of an Egyptian inspired car.